Certified pet therapy dogs are a common sight in hospitals and nursing homes but a more recent occurrence is the appearance of therapy dogs on college campuses cross the United States. But it makes total sense: students away from home for the first time coupled with collegiate academic stress, particularly during exams, equals an incredible amount of anxiety that normally would have no outlet. By bringing therapy dogs on campus, administrators are providing a tail-wagging mountain of fur to diffuse that tension, in the best face-licking way possible. One example is Swarthmore College and Izzy, a standard poodle and the newest addition to the staff of the the college’s health and wellness center. Izzy has open office hours three days a week when students can come down and get a daily dose of canine comfort; Izzy is also available for private one-on-one sessions. At University of North Carolina at Chapel Hill, therapy dogs take another path, to the clubhouse. 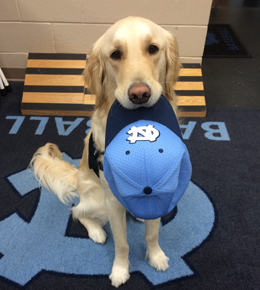 In 2017, a young golden retriever named Remington was added to the baseball team’s roster. Remington is certified both as a Medical Alert Assistance Dog and as a Rehabilitative Facility Dog. He is there to help injured athletes with their physical therapy as well as to provide emotional support. He is now a familiar sight in the dugout during games (as well as standing at attention during the “Star Spangled Banner” with his hat in this mouth), and in addition to providing oodles of comfort, he’s learned the invaluable trick of opening the refrigerator to fetch bottles of Gatorade for players. MIT has brought the training of therapy dogs on campus with their MIT Puppy Lab. 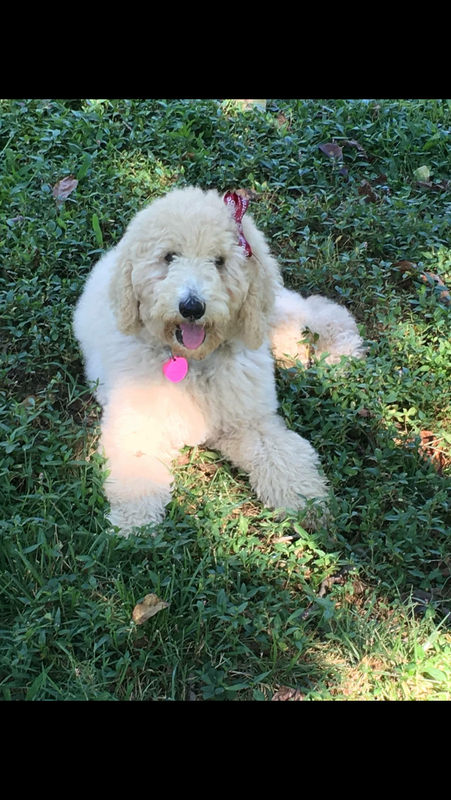 Led by students, this initiative connects with local pet owners and offers their canines therapy dog certification workshops. Once these pups have graduated, they become part of Puppy Lab teams that regularly visit the campus to provide much needed decompression. And honestly, you don’t even have to be there to get the benefit; just scroll through the photos of the members of their therapy teams and you’ll feel better! And if you’re visiting students at any of these colleges, be sure to use Petswelcome so you can bring along the best therapy dog ever, your own!